In a "statement of intent," the department said the university censors and punishes constitutionally protected speech. The Department of Justice this week took on another battle in its fight against campus speech and harassment codes that conservatives have criticized as infringements on their freedom of speech, as laid out last year by Attorney General Jeff Sessions. On Monday, it intervened in a lawsuit against the University of Michigan, saying its regulations unjustly silence unpopular or offensive viewpoints. “The University of Michigan proclaims on its website that ‘freedom of speech is a bedrock principle of our community and essential to our core educational mission as a university.’ Unfortunately, the university is failing to live up to that laudable principle,” the Department of Justice said in a "statement of interest," a government friend-of-the-court brief. In the brief, the department sided with Speech First, a Washington-based group that fights restrictions on free speech and other civil rights at colleges and universities. The lawsuit, which Speech First filed on May 8 in U.S. District Court for the Eastern District of Michigan, alleges that the University of Michigan’s harassment, bullying and bias policies are overbroad and prohibit students from speaking for fear of discipline from the university’s bias response team, which comprises university administrators and officials. In a statement attached to the lawsuit, Nicole Neily, the president of Speech First, said the group counts students at the university as members. But “Speech First’s members are afraid to voice their views out of fear that their speech will be reported to the university as ‘harassment,’ ‘bullying’ or a ‘bias incident,’ ” she said. The bias response team "has a profound chilling effect on speech and expression at the university,” Department of Justice lawyers said. The university updated its definitions of bullying and harassment on its website Monday. 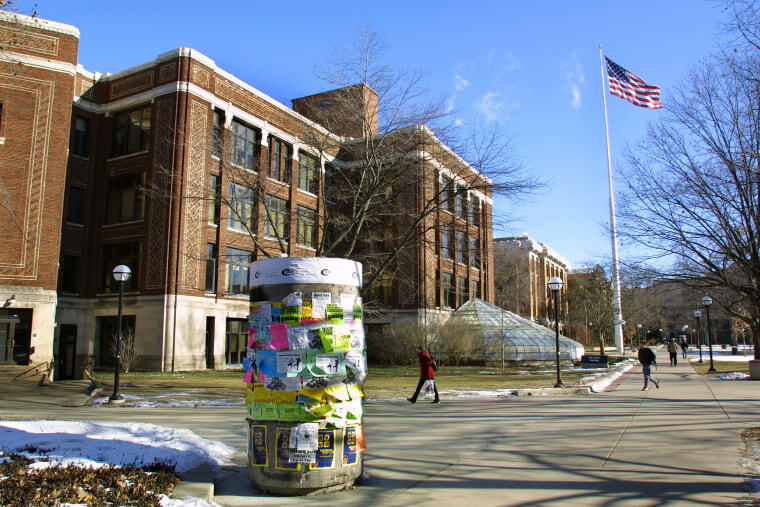 The Michigan case is the fourth time the Department of Justice has filed a statement of interest in a First Amendment case involving freedom of speech on campus in the last year. Previous statements have challenged colleges’ "free speech zones" in Georgia and California and policies for campus speakers at the University of California at Berkeley.